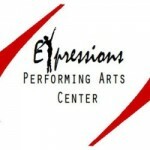 Expressions Performing Arts Center (EPAC) is located in the building of the former Expressions Dance Center at 75 Main Street in Randolph. 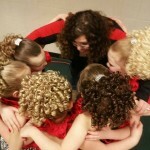 They offer competitive and non-competitive classes for dancers of all ages! 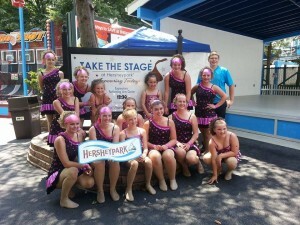 EPAC has performed at many places, inc luding most recently as feature performers for Hershey Park in July 2014. EPAC has also won several national and international dance awards, including a National Championship in our division at Showstoppers American Dance Championships and Sr Dance Champions at the Can Am International Cheer and Dance Championships. This week EPAC is VERY excited to finally be able to officially announce that June 27-July 4, 2016, all of their competitive company students ages 10 and up (jazz, tap, pom and cheer) will be performing in a dance group made up of dancers from ALL OVER THE WORLD, and will be leading the Main Street Electrical parade right down Main Street USA in Walt Disney World’s Magic Kingdom! In addition the older and younger company students (jazz, tap, pom and cheer ) will perform in the Dance the World Showcase at Disney’s Hollywood Studios in the Premiere Theatre, and will also have a 30 minute stage performance featuring EPAC at Downtown Disney’s Waterside Stage AND get to experience an official Disney private performer Gala and Celebration (among many other things!). EPAC is so excited and so proud that their students will have such an amazing opportunity! The trip will also be open to any spectators, friends and family who might want to come along for the adventure. If you are interested in being a part of this trip of a lifetime, contact EPAC for more details! Some of their students were recently featured in a photo campaign for Pretty Girl Cosmetics. The Shout! Southern Tier Cheer and Dance Championships hosted by Expressions Performing Arts Center on January 11, 2015 at RCS.